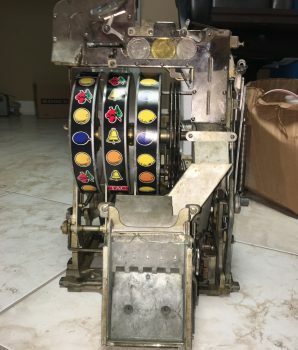 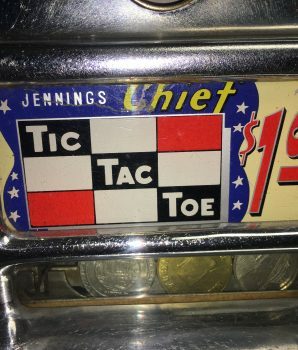 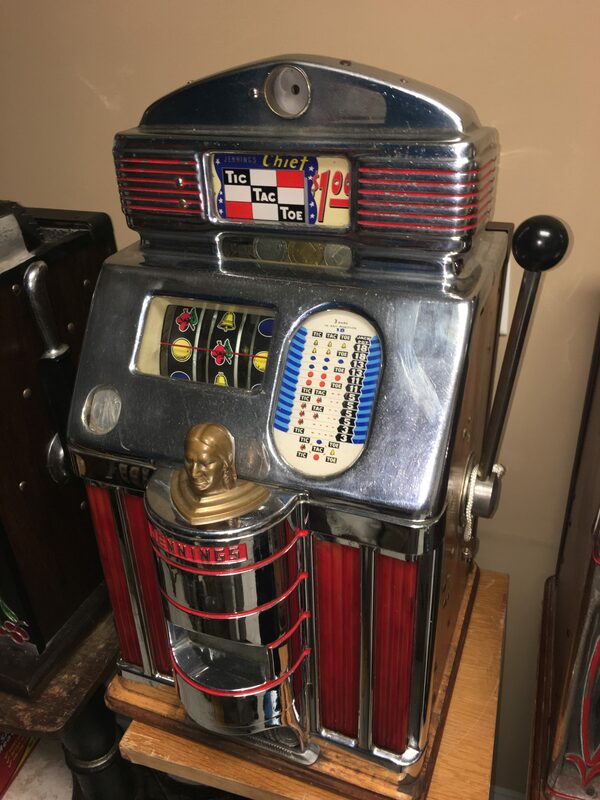 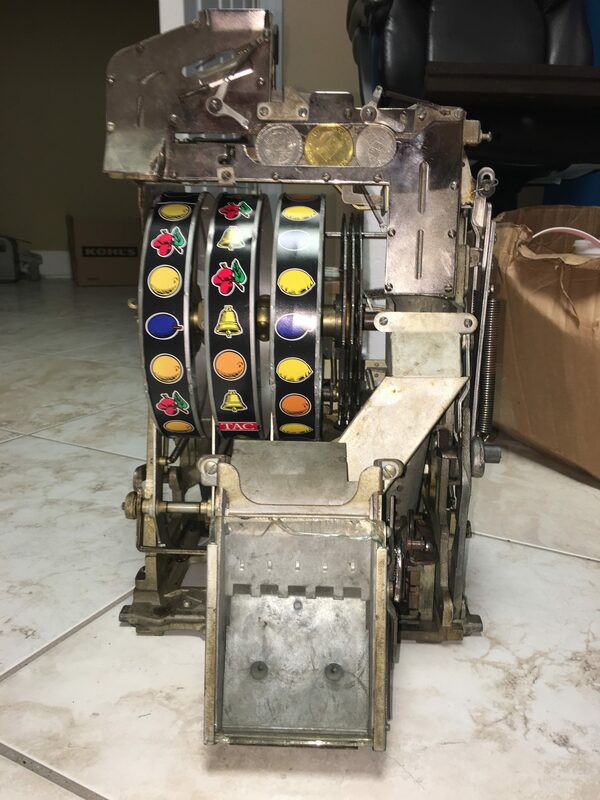 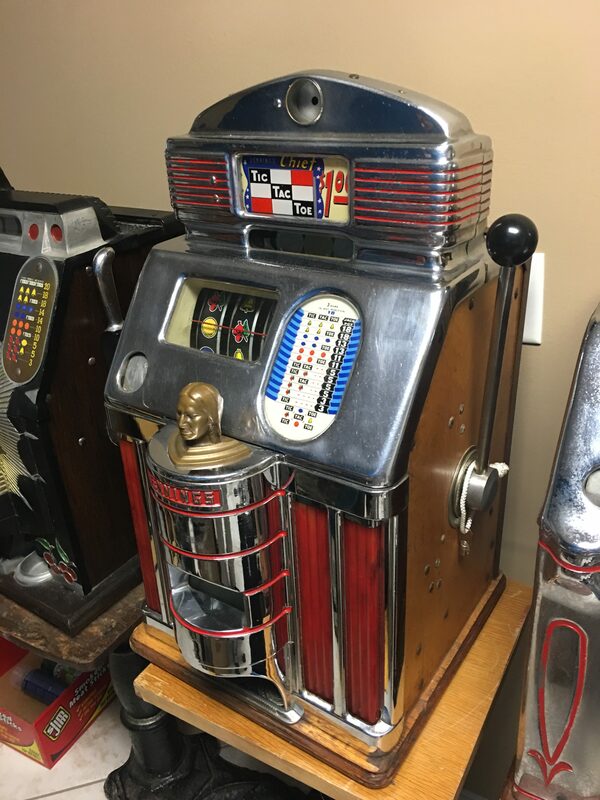 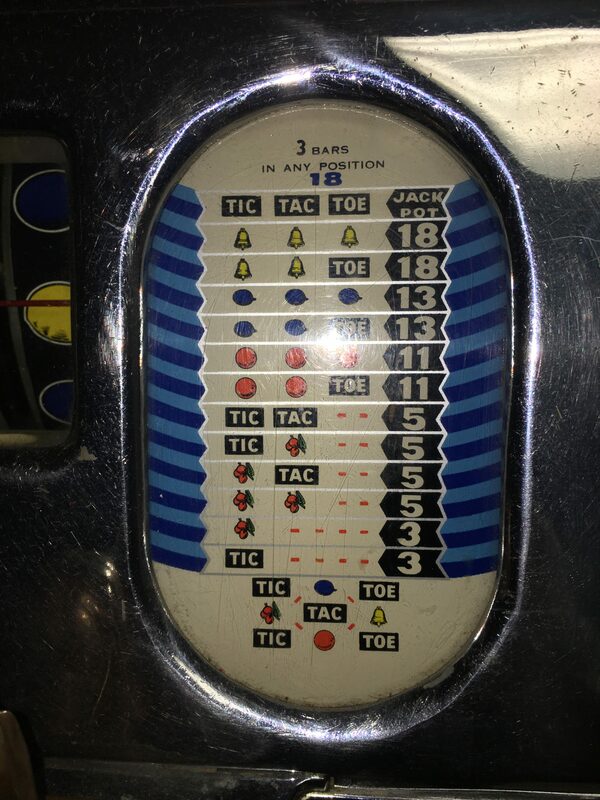 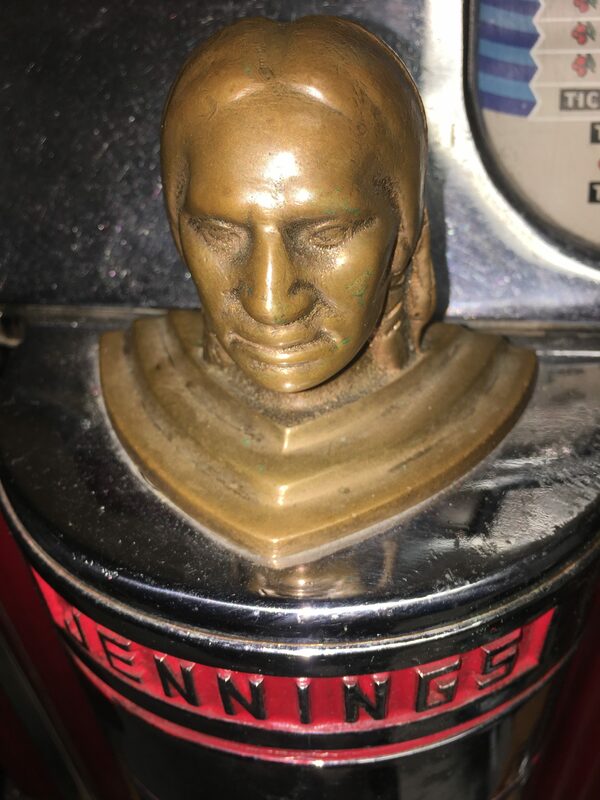 Offering a Rare Dollar Jennings Tic Tac Toe light up antique slot machine in good work condition. 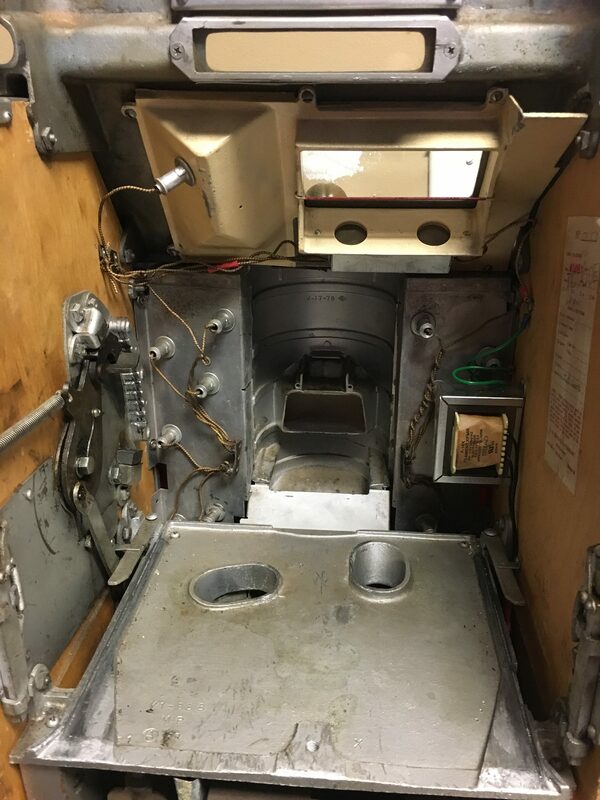 Beautiful oak sides. 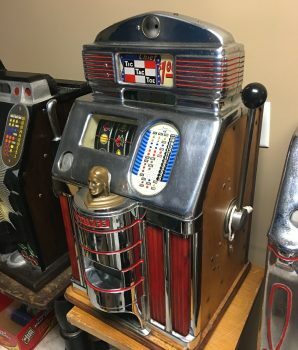 Chrome in nice condition. 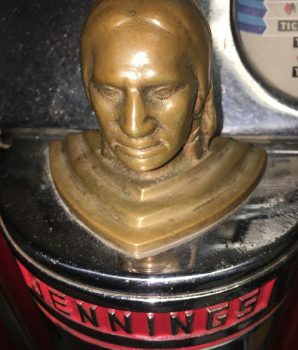 Has original coin box; lock and key. 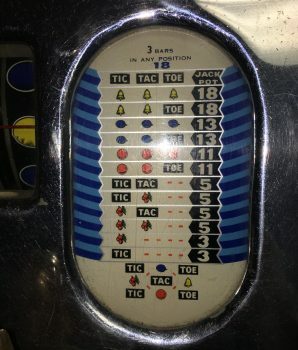 For additional information ernail. 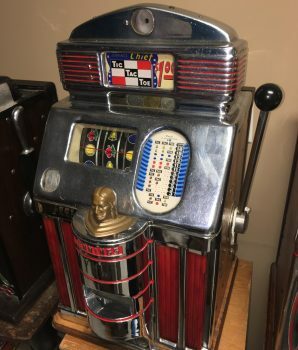 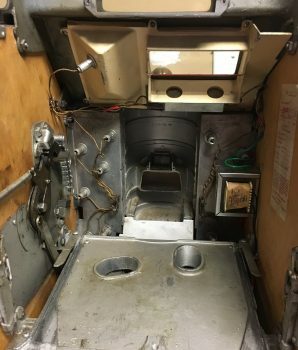 A very rare and desirable dollar machine. 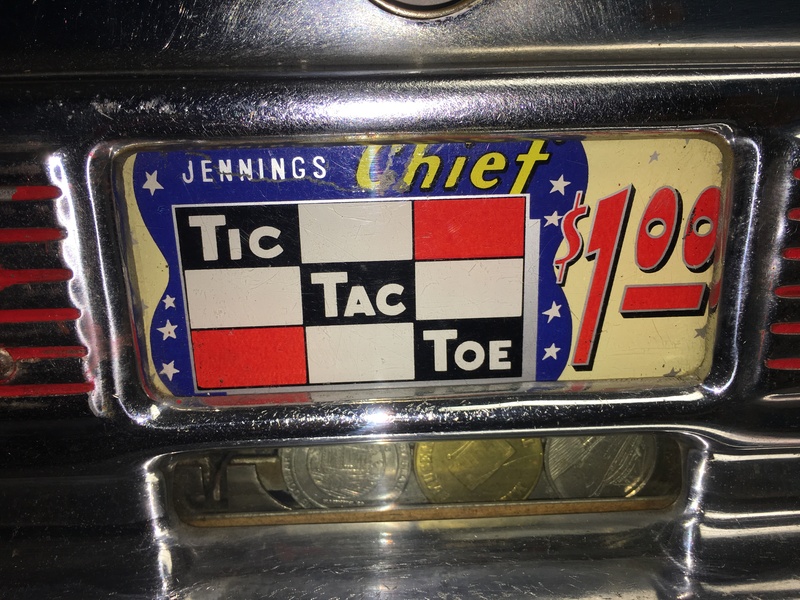 Works well on Morgan and peace silver dollars, Ike dollars, and Vegas dollar tokens.